Though I am not a huge fan of orange color but I love coral lips. They effortlessly brighten up the face. 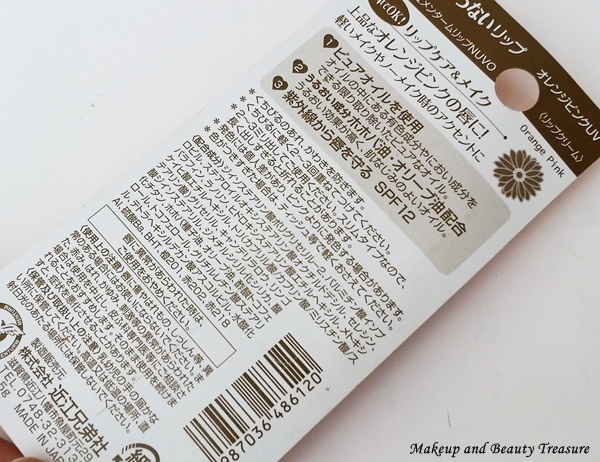 If you are a regular reader of my blog, you would know how much I raved about Kawaii Surprises Oil Blotting Sheets (Reviewed HERE). Kawaii Surprises is a Korean online shopping website and is full of cute and pretty Korean products. 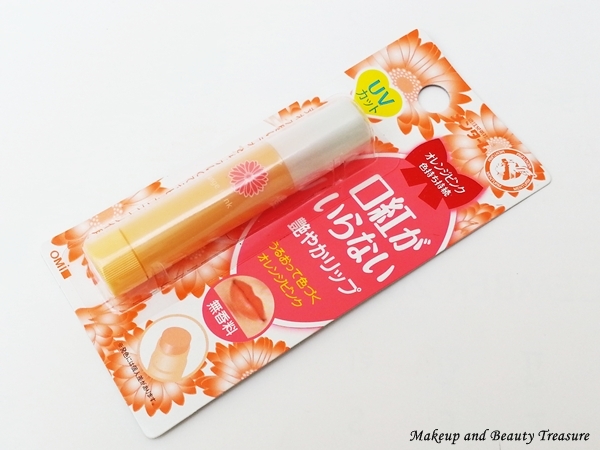 Today I am going to review tinted lip balm* from Kawaii Surprises which is orange pink in color. It is priced at $5.99 and you can buy online HERE. Kawaii Surprises Tinted Lip Balm comes sealed in a blister type packaging with all the information written in Japanese language at the back. It comes in 4 shades- orange pink, tulip pink, sakura pink and platinum pink. It has lipstick style packaging and the bullet goes up and down when you twist the base of the tube. The tube is quite light and can be easily carried around in a bag while traveling. Orange pink is a gorgeous light coral color with a hint of pink in it. 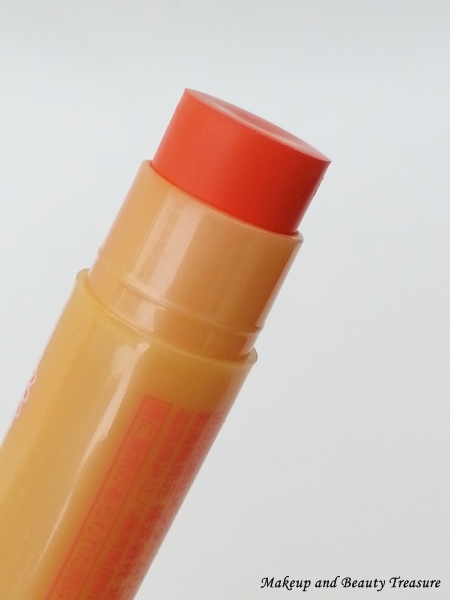 It glides smoothly over my lips and gives a beautiful tint of coral to my lips. If you have very pigmented lips then it might not show up well but on light lips it looks very pretty! 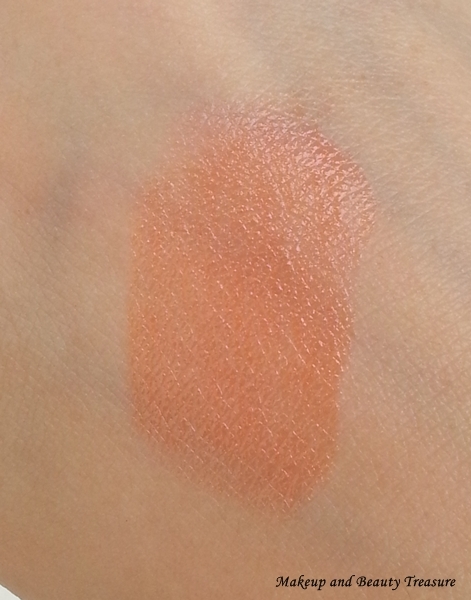 I have slightly pigmented lips but the color shows up with few swipes. It does not have weird scent or taste and has SPF12 that protects your lips from harsh rays of the sun. If you have dry and flaky lips then you might need to exfoliate your lips as it shows flaky skin of the lips. I don’t have very dry lips but I always make sure to exfoliate lips with a lip exfoliator (I use Eglips Joliebebe Lip Polish that I got in Memebox. Review HERE) before application. You can also use a soft baby toothbrush to remove dead and flaky skin off your lips. The lip balm does not contain glitter or shimmer and is a great daytime lip shade! It is enriched with olive oil and jojoba oil and is quite moisturizing on lips but if you have very dry lips then you might not find it enough nourishing! It can be used under lipsticks or lip glosses of same shade for better results. • Gives a lovely tinted pinkish coral shade to the lips. • Available in 4 shades. • Glides easily on lips. • No weird scent or taste. • Perfect daytime wear shade! • Moisturizing power is not enough for very dry lips. 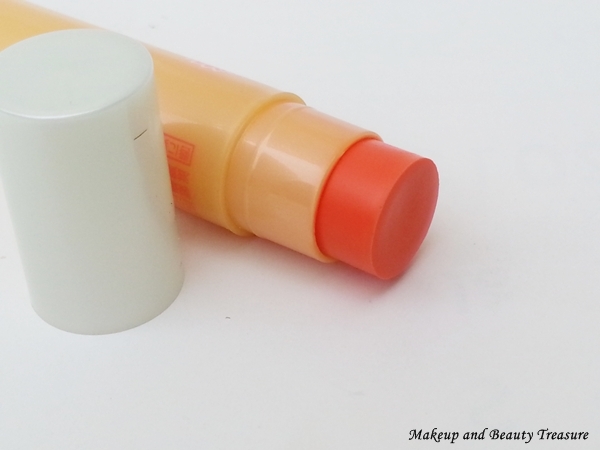 • Reapplication is needed like other tinted lip balms! Kawaii Surprises really stocks cute items. I loved their lip balm and oil blotting sheets. 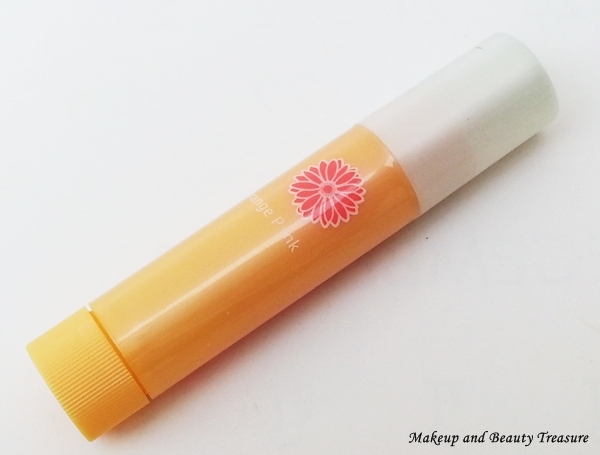 This lip balm has lovely coral pink shade and instantly brightens up my face. It moisturizes my lips well and makes them look pretty and attractive. I would definitely recommend it to everyone! • If you have very dry lips, prep them with a good lip balm and then apply Kawaii Surprises Lip Balm. • I use it at daytime and prefer to apply clear lip balm at night. • You can use it underneath your coral lipstick or lip gloss to get better results. Have you checked Kawaii Surprises? Do you love Korean products?